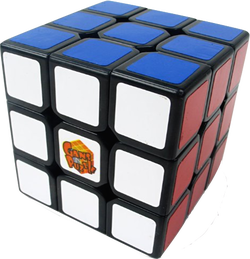 When I first got the cube, it was exceptional at turning, corner cutting, did not pop, and rarely corner twisted. Out of the box was a little tight for my liking though, so after some loosing and breaking in, corner twists and popping became more frequent. If I had to pick how often i got a corner twist, I would say every 20 solves or so. I maybe get a pop ever 75-100 solves, I do not know if that is good or bad, I do not have much to compare. Being stickerless, I don't have to worry about stickers chipping. The shades are nice, the only issue I have is the yellow is a bit on the darker side. Overall, the gans 3 v3 is a good cube that I think would be good for 20-40 second solvers.